The professional editing services offered by Top-Dissertations.com can help save any student from hours of grueling proofreading. Our professional editors help students avoid costly errors that could mean low grades when handing in an important document. By using the Top-Dissertations.com professional editing services, every customer is assured that his/her academic or business papers are up to par and ready for submission. This service is particularly useful for those doctoral candidates who are working on their dissertations. When a student works on a dissertation, the work is so intensive and lasts for such a long period of time that it is easy to let the occasional spelling or grammatical error slip by unnoticed. The professional editors who work for Top-Dissertations.com make sure that everything is as it should be in each dissertation. Customers are kept abreast of any changes made by editors. Our clients can check all changes, make comments, queries and suggestions, so that later adjustments can be made, if necessary. Our editors strive to respect the style of writing that the customer has submitted as well as the writing's overall tone. Therefore, any suggestions that are made pertain to substantive revisions only when necessary. 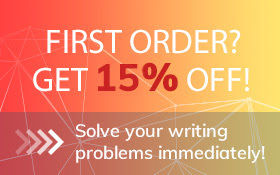 It is our goal to help our customers achieve perfection in their writing endeavors. We also help make sure that no documents contain any plagiarism. Handing in a document that has been plagiarized in whole or in part is a ground for failure. Our professional editing services can be utilized in different situations. For example, we can help edit any documents that Government or corporate businesses present to us to make sure that everything is in order before they are submitted to their intended parties. Our editing services are perfect for the student who speaks English as a second language. Our editors are on the alert for any incorrect use of the language. Any business person can use our editing and proofreading services prior to submitting manuals, memos, reports, press releases, marketing materials or any other business documents to their intended recipients. Students and even academic professors can use our editing services, whether for editing dissertations, essays, journal articles or term papers that should be submitted in great condition. We also edit proposals and admissions essays. Authors also need our editing services to make sure that their books, poetry, screenplays, short stories and plays are properly written. Top-Dissertations.com not only offers the highest quality writing and editing. We also offer competitive rates, especially for editing dissertations. We understand that in today's uncertain economic climate no one wants to overpay for a service, even for one that is as crucial as editing an important document. Therefore, we offer our services at an affordable cost, regardless of the level of difficulty or deadline required for each document. We invite you to join the countless numbers of successful students who have been propelled ahead in their academic careers using our editing services. We can transform any essay, business writing, term paper, dissertation or other academic writing into a well-composed masterpiece of writing perfection. Try the professional editing services of Top-Dissertations.com.